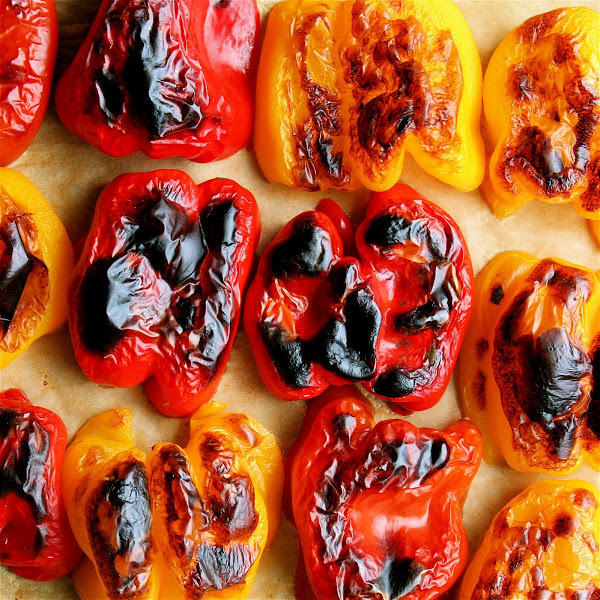 Somewhere along the line I lost a taste for roasted peppers. Same with sundried tomatoes and even balsamic vinegar. Well, I didn’t cool on the balsamic for long (I was just tired of it being overused) while I’ve never regained a desire to eat sundried tomatoes. But roasted peppers really are delicious and it was the long break away from them that made me realize how much I enjoy them. Who better than the Goddess Alexandra to bring it all back home?